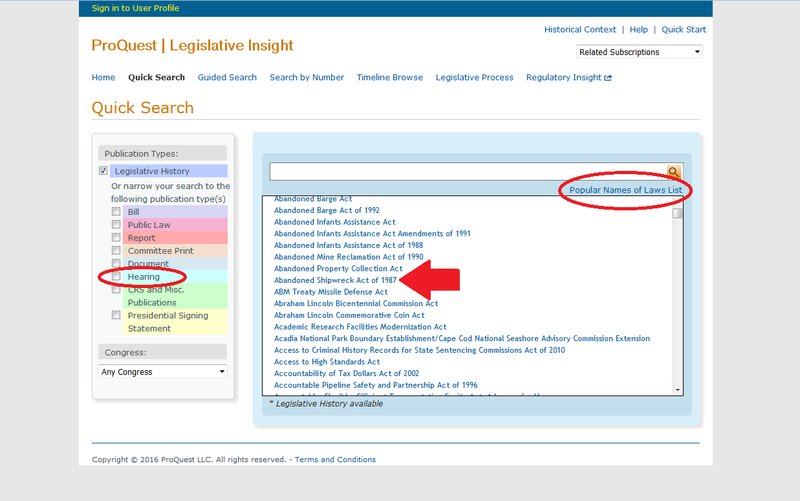 This is the final post in a three-part series spotlighting Legislative Insight database features. Aside from the basic search bar available on the home page and the Guided Search tab (which is an extension of the basic search bar), there are two other ways to conduct a search: (1) Quick Search and (2) Search by Number. Quick Search is fairly intuitive. You can either type in what law you’re searching, or utilize the “Popular Names of Laws List,” located directly under the search bar (shown above). In the example below, we selected the “Abandoned Shipwreck Act of 1987” and narrowed our search to only Hearings, under Publication Types. After results populate, the left menu bar prompts the user to narrow the results even more–by subject term, start and end date, and source. The Search by Number form is the quickest way to search for legislative information when you already have the–as the name implies–numbers associated with the piece of legislation. 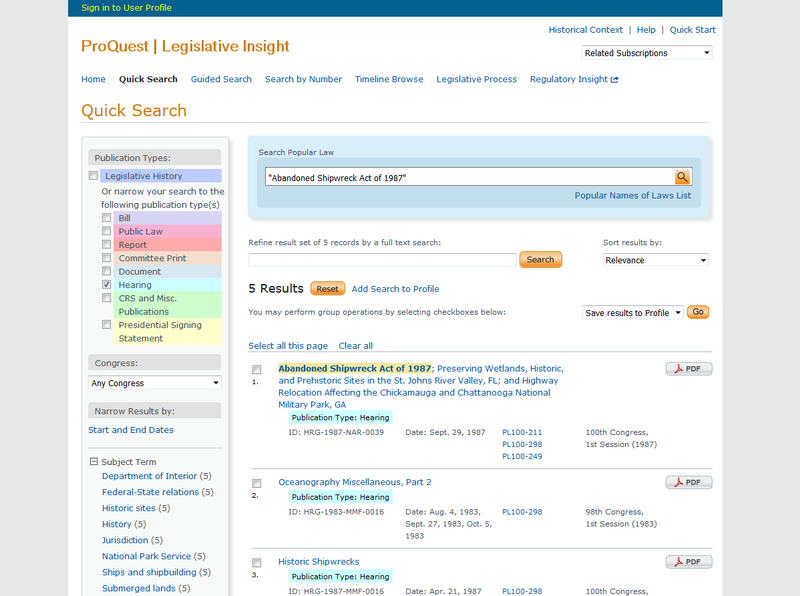 Users can search by bill number, public law number, public resolution number, statutes at large, publication number, bibliographic number, and serial set volume number (shown below). Previous Previous post: Peanut Butter & Jelly Bar During Finals!